Seven days into the lunar cycle – and the moon has reached her first quarter. Energies awaken and it is time to look outwards once more and take our first baby steps towards the visions set at New Moon. It is an exciting time yet these first baby steps can be wobbly and we may receive a few bumps and bruises as we test out our new skills. The Growth Moon Combination of flower and gem essences is one of my personal favourites and a few drops often go into my daily water bottle. I often feel like a pioneer as I take the knowledge of the elemental kingdom into the world through my work. My Aquarian self enjoys this yet sometimes I feel vulnerable – what will others think? So as we now enter the more outward phase of the moon where we step out and become more visible, Gold Essence is included in the combination to support this more yang phase. (New Moon Alignment and Crescent Moon Seed Essences both contain Silver essence) – and to help with feelings of confidence and strength. So how was my experience of Growth Moon ? During Crescent Moon period I attended a soundscape where I connected and communicated with the earth spirits and was asked to SHARE. So as the moon became more visible in our skies, I found myself indeed taking practical and grounded steps to doing just this. A new page was born on my site called MEET THE FLOWERS and a project has begun to SHARE short videos of the flowers that I meet that are in the MoonFlower range and to offer a visual experience of each of these flowers. To me it is important to know what my friends look like and to appreciate their colours and shapes. I also went on my very first foraging walk led by friend and permaculturalist Jo Barker of http://www.dynamic-equilibrium.co.uk/. One of my passions is to continually learn to recognise the different plants that grow around me and so it was with great delight that I met Yarrow growing on beach here in Thanet, Kent – she will be flowering this Summer and I look forward to revisiting at this stage. Yarrow is such an important herb, essential oil and flower essence. Energetically, Yarrow is one of the premier flower essences to protect and seal the subtle bodies and is particularly useful if you are ultra sensitive and have difficulty e.g. going into large crowds or are drained by discordant energies. My heart also opened seeing the Hawthorne flowers blossoming – Hawthorne is a very important herb for the heart and in essence terms also nurtures and supports a broken or fragile heart. I have had some teething problems – one of them being learning how to actually publish posts effectively via my new site and allow them to be visible. Internet problems have also been very present -as some of my flower essence students have experienced with workbook files being wiped clean and a webinar needing to be scheduled. This combination has kept my steps steady and clear – although frustrating, I have allowed a sense of humour to come through as I have rewritten feedback and rescheduled my calendar. NEED HELP MANIFESTING YOUR BABY STEPS IN LIFE AND YOUR BUSINESS? 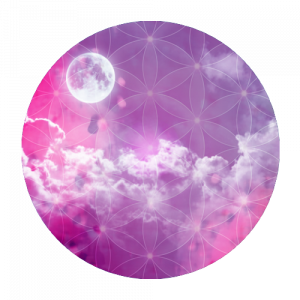 Growth Moon has been especially created to help during these periods of wobbles – when we know we need to take action on our dreams yet may be paralysed by lack of confidence, self- doubt and confusion. To find out more about and to purchase our Growth Moon flower essence please visit our MoonFlower Essences Portal.